If you are a Primary School MOE Teacher / Music In Charge who wants to teach Digital iPad music to your students, Advent Music would like to get in touch with you. Contact us today! Creating Music doesn’t get easier than this. 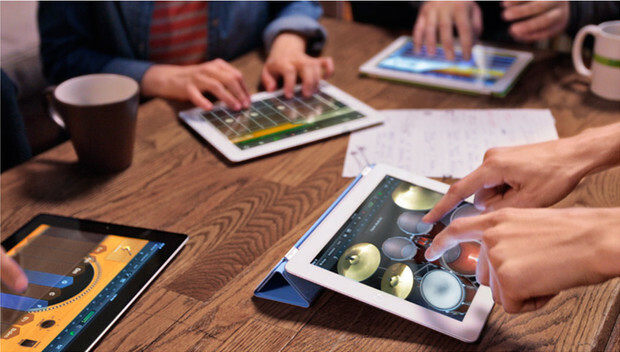 With an intuitive interface, Apple iPad’s Garageband allows you to compose your own music pieces like a professional. While we strongly encourage your pupils to bring their own ear pieces, we do also provide earpieces so that each student can focus on his own music. Depending on what you require, the students may work in pairs. With more than a thousand loops from Apple with many different types of music like EDM, Indie, and Hiphop, Students will be able to piece together impressive sounding beats, all while adding a personal touch by using Smart Instruments. Add powerful drum beats with kicks, snare drums and hi hats. Create an cool bassline with Smart Bass. Also, if your students have the aptitude, they will be allowed to move on to the next level, melody composition! Learning how to mix, record and master your musical piece is so easy with Apple’s GarageBand. Teach your students how to create powerful music – at your finger tips. Contact us today!